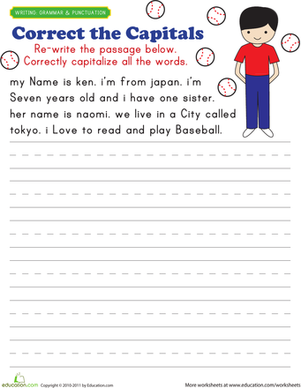 Ken has written a short paragraph about himself, but the capitals are all out of whack! 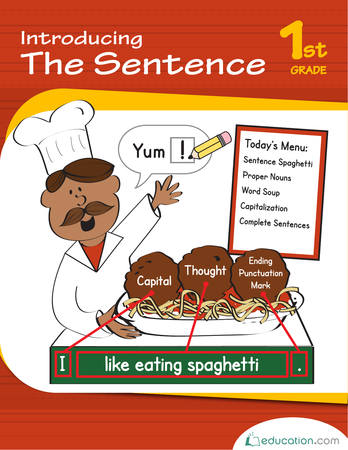 Can your first grader make the corrections? He'll read, edit, and then re-write the passage. The best part is: he'll practise capitalization and work on his handwriting at the same time. To make it extra fun, let him use a red pen! Like this printable? 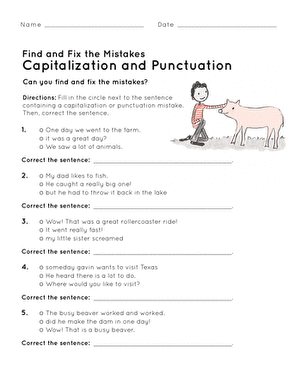 Check out the rest of the Correct the Capitals Worksheets. 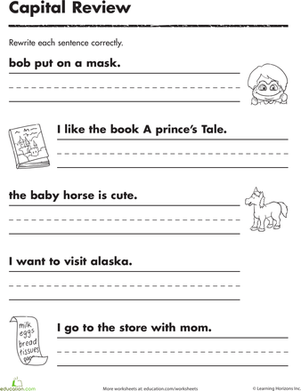 This worksheet will ask your child to rewrite the sentences correctly. By looking closely at the sample narratives, students check for correct ending punctuation and capitalization. 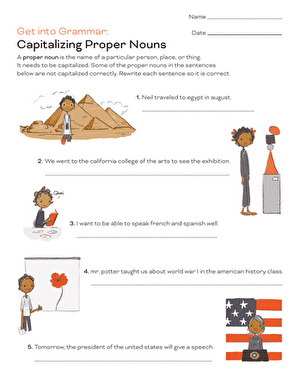 Students will make sure that their narratives have correct ending punctuation and capitalization with this handy worksheet.